The Cabinet Committee on Economic Affairs chaired by Prime Minister Shri Narendra Modi has approved the capital infusion of Rs.2000 crore for strengthening of Export Credit Guarantee Corporation (ECGC). The amount would be infused in the three financial years i.e. Rs.50 crore in 2017-18, Rs.1450 crore in the year 2018-19 and Rs.500 crore for 2019-20. The infusion would enhance insurance coverage to MSME exports and strengthen India's exports to emerging and challenging markets like Africa, CIS and Latin American countries. With enhanced capital, ECGC's underwriting capacity and risk to capital ratio will improve considerably. With a stronger underwriting capacity, ECGC will be in a better position to support Indian exporters to tap new and unexplored markets.  Increased capital infusion will help ECGC to diversify its product portfolio and provide cost effective credit insurance helping exporters to gain a stronger foothold in the difficult markets. Covers from ECGC will help in improving competitive position of India exporters in International markets. More than 85% of customers benefitted by ECGC's covers are MSMEs. ECGC covers exports to around 200 countries in the world. 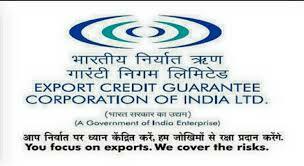 ECGC is a premier export credit agency of the Government of India to provide Export Credit Insurance Services to facilitate exports from the country. The ECGC offers credit insurance schemes to exporters to protect them against losses due to non-payment of export dues by overseas buyers due to political and / or commercial risks.